The US turned a blind eye to the former Iraq regime's $8bn trade in smuggled oil, a new US Senate report says. The report says the US was well aware of both the smuggling and the kickbacks Iraq solicited from players in the UN's oil-for-food programme. Published by Democrat minority members of a key committee, it follows charges levelled against several Russian politicians and UK MP George Galloway. 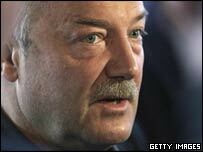 Mr Galloway has flown to Washington DC to defend himself in person. He is appearing before the Senate Permanent Subcommittee on Investigations. Others accused of receiving oil allocations from Baghdad include French former Interior Minister Charles Pasqua, Russian ultranationalist MP Vladimir Zhirinovsky, and Russian former presidential aides Alexander Voloshin and Sergei Issakov. Mr Galloway, Mr Pasqua and Mr Zhirinovsky have all denied the allegations. Unlike the previous reports, which were backed by all the committee members, the fresh accusations are authored by staff of the minority of Democrats. They are led by Senator Carl Levin, who has built his reputation on a series of follow-the-money investigations involving such subjects as Enron and money laundering. The new report focuses on both the $228m Saddam Hussein's regime is estimated to have made through illegal surcharges on the oil-for-food programme, and on the $8bn it made through sanctions-busting oil sales to Turkey, Syria, Egypt and Jordan. US oversight was weak on both fronts, the report says - and sometimes amounted to facilitation of the illicit trades. It takes the example of Bayoil, a US oil firm which was indicted by US authorities in April and was allegedly used by the three Russian politicians as a go-between with the Iraqi authorities. 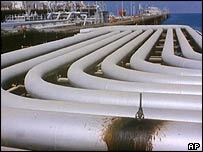 According to the report, the firm imported more than 200 million barrels to the US between 2000 and 2002, selling it to US companies and in the process paying $37m in illegal kickbacks to Baghdad. US agencies such as the Office of Foreign Assets Control (OFAC) failed to examine its activities, the report warns, assuming that UN agencies would do the job - despite UN resolutions which clearly made such oversight the responsibility of national governments. In all, US buyers paid more than half the $224m in total kickbacks, the report estimates. But it also said that the far bigger smuggling trade was carried out with tacit US approval. Much of the oil went out by land through Turkey and Syria, but much also went by sea. The report takes the example of a series of shipments from the port of Khor al-Amaya in southern Iran in the month before the US-led coalition began its 2003 invasion. Jordan paid $53m in hard currency for 7.7 million barrels on seven tankers, all of which were explicitly allowed to pass by the US naval blockade. "The US was not only aware of Iraqi oil sales which violated UN sanctions and provided the bulk of the illicit money Saddam Hussein obtained from circumventing UN sanctions," the report said. "On occasion, the US actually facilitated the illicit oil sales."